﻿ free shipping Girls Kids Cotton Princess Party Pageant Floral Sleeveless flower Dress + Ribbon Bow Outfits Dresses Cheap Dresses Girls Kids Cotton, Cheap Dresses, Buy Directly from China Suppliers: Click to Enlarge ? Click to Enlarge ? Click to Enlarge ? 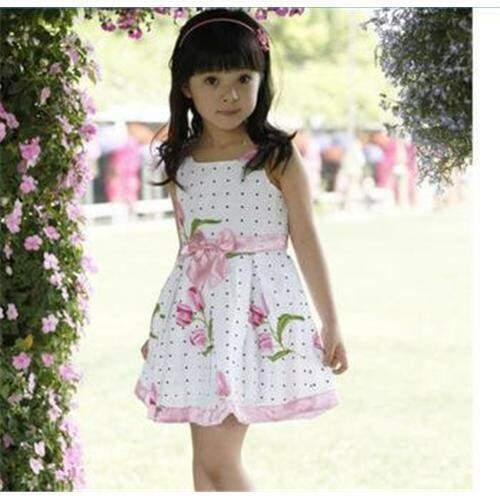 You are purchase a girls Pretty Tulip Print dress with Ribbon Bow design .Very cute and comfortable.